He is joined by Santa (of course! 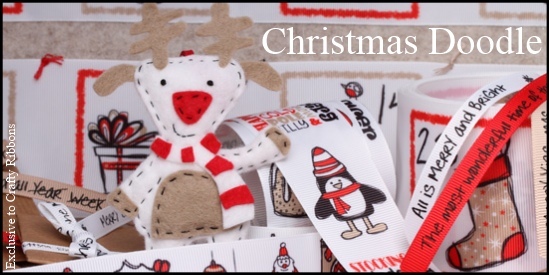 ), penguin, fairy, parcels, stockings, robins....well all things Christmas. A stunning collection of Christmas doodles worked in Santa red, pencil black and gingerbread. Includes a wicked set of advent ribbons - with EXTRA large pockets. 12 different messages makes this a fun packed range.